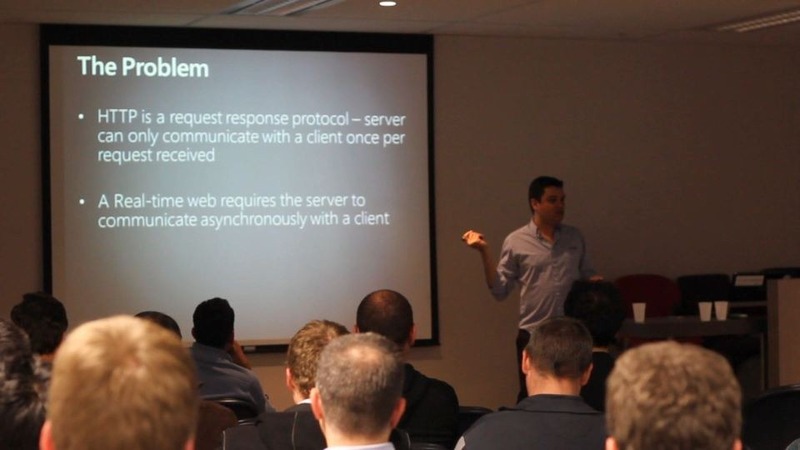 At this month’s Victoria.net usergroup, Cristian Prieto (@cprieto) discussed Websockets in HTML 5. He covered which browsers support it, which server technologies support it (Windows 8 server is the only Windows operating system that supports it natively), which frameworks you can use to assist you in programming it, etc. 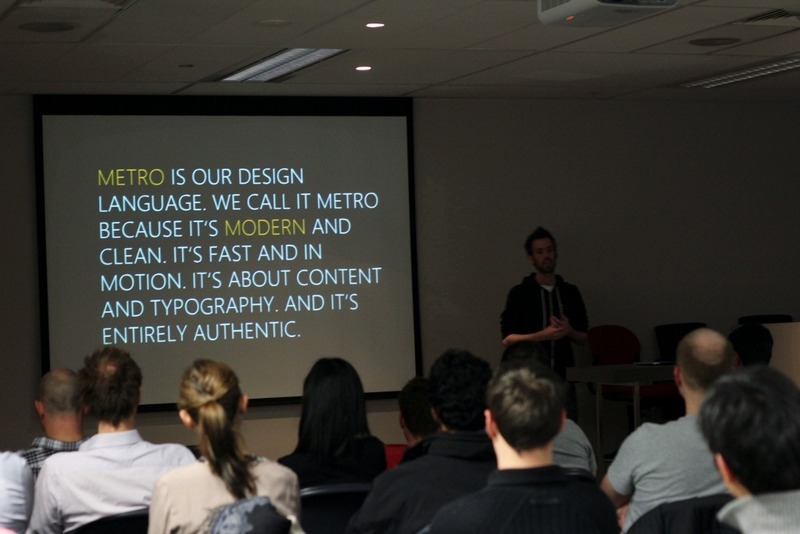 Alex Knight (@agkdesign) presented on what it is to design Metro apps and what sets them apart from other user interfaces. He gave a lot of high level information on how to approach the design, and gave some ideas about keeping the UI “Authentically digital”. It is a very good session to watch in your spare time. Alex has provided me with the slides Which you can download. Toast notifications allow your application to prompt your users when something has happened in your application that may not be currently viewable on the screen. An example being an auction application. The user flags to watch an item. The user than navigates away and looks at other items. Later the application can show a toast notification warning the user that there is only 5 minutes of bidding remaining. Ensure that go into your application manifest and set Toast Enabled to Yes. If you are submitting a ToastNofication to the ToastNotificationManager and see no error messages, but toasts are failing to show. Then you have probably not enabled toasts in your application. Notification toasts in your application can be created by sending a formatted XML message to the ToastNotificationManager. The easiest way to achieve this is to get a base template for the notification style that you want (Text only, Image, Image and Text, etc) then modifying the Text or Image elements of the XML template. The code below shows how a XML template can be taken and updated with custom text. 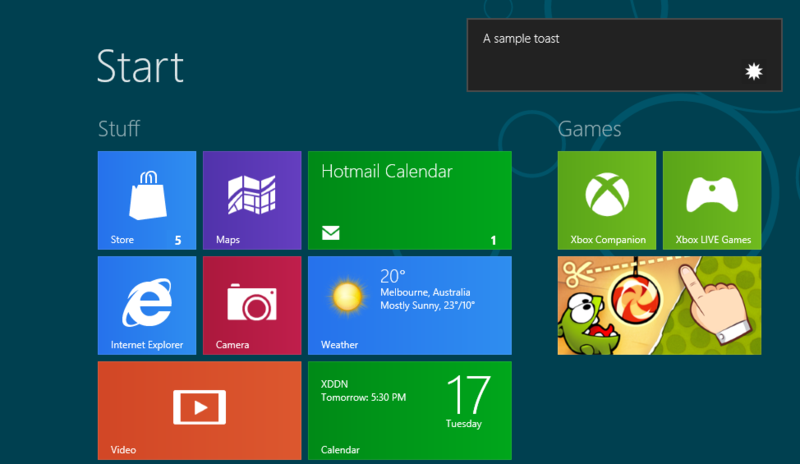 The XML document is then used to create a ToastNotification which is then sent to the ToastNotificationManager. /// Raises a text toast notification locally. // Toasts use a predefined set of standard templates to display their content. // The updates happen by sending a XML fragment to the Toast Notification Manager. // Find the ‘text’ element in the template’s XML, and insert the text “A sample toast” into it. // The template is set to be a ToastImageAndText01. This tells the toast notification manager what to expect next. // A text element is created under the ToastImageAndText01 XML node. 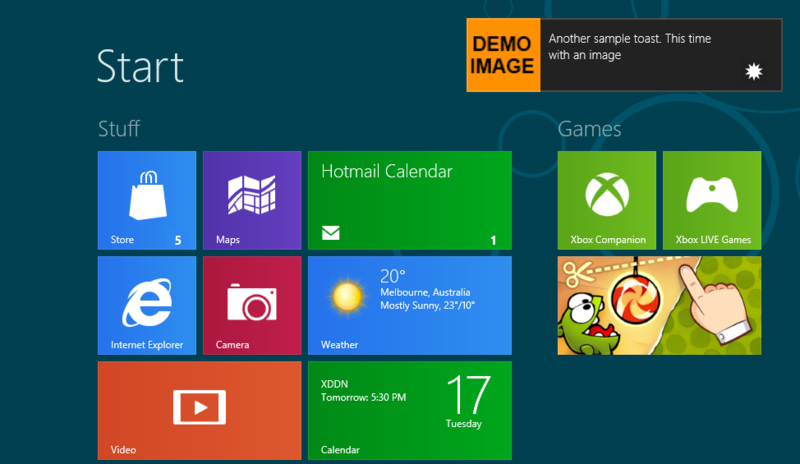 Images from remote web servers can be used. This can be done easily by specifying a remote URI instead of the local path within the application.